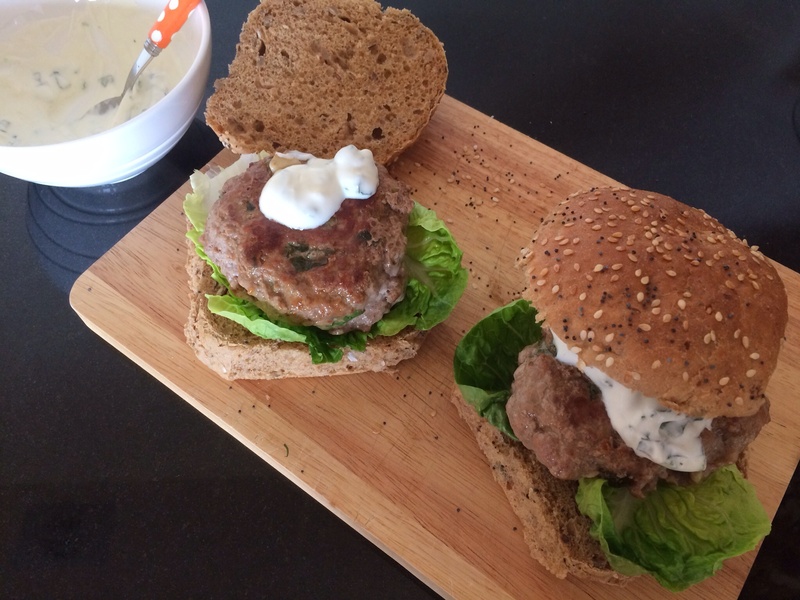 Quick and delicious home made turkey burger flavoured with Middle Eastern spices and a yoghurt and lemon relish. The mix will make 3 burgers. 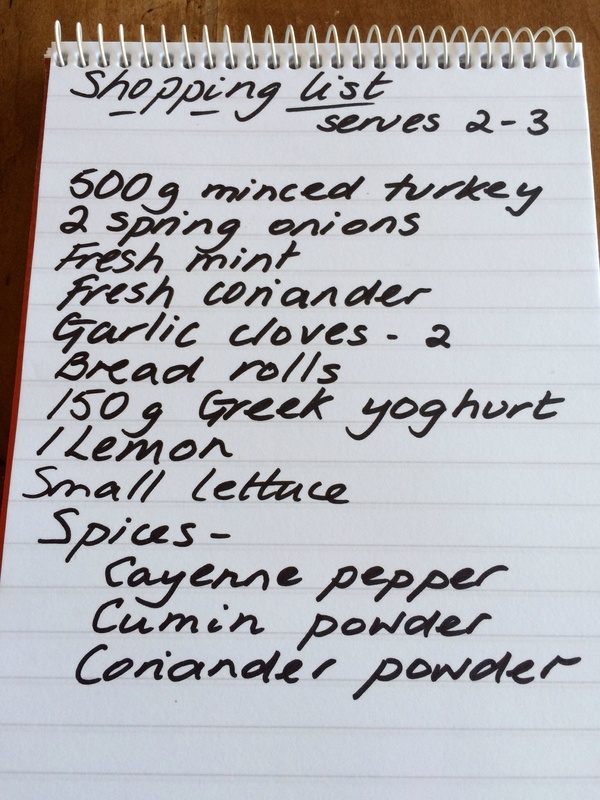 You can take a cold one into work for a great lunch tomorrow, or roll a third of the mix into 6 little turkey meatballs for another meal. They will freeze and defrost quite quickly for a tasty supper, stuffed into pitta bread with a yoghurt and cucumber dressing! Put the oven on 200c. 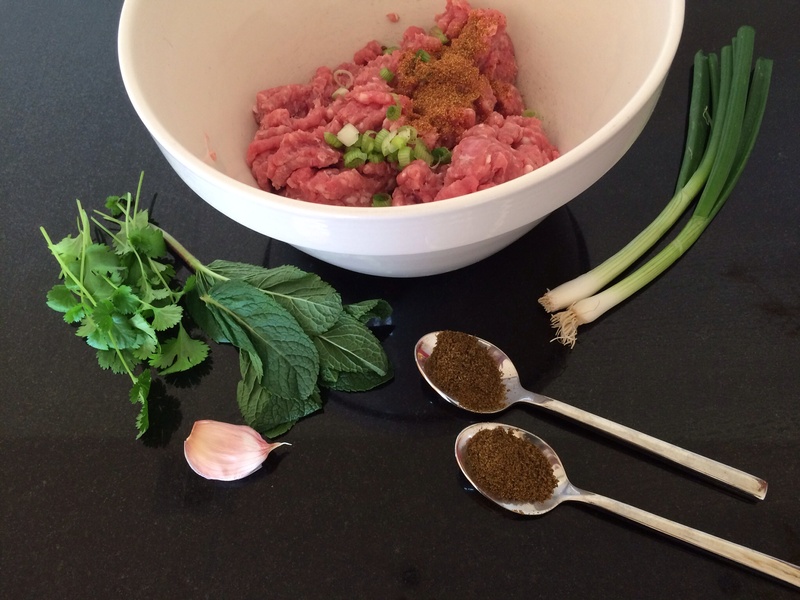 In a bowl mix the turkey meat with 1 tsp each of cumin, coriander, half a teaspoon of cayenne pepper, a couple of tablespoons of chopped coriander and mint, a chopped garlic clove, the snipped spring onions, and salt and pepper. Give it a good mix. 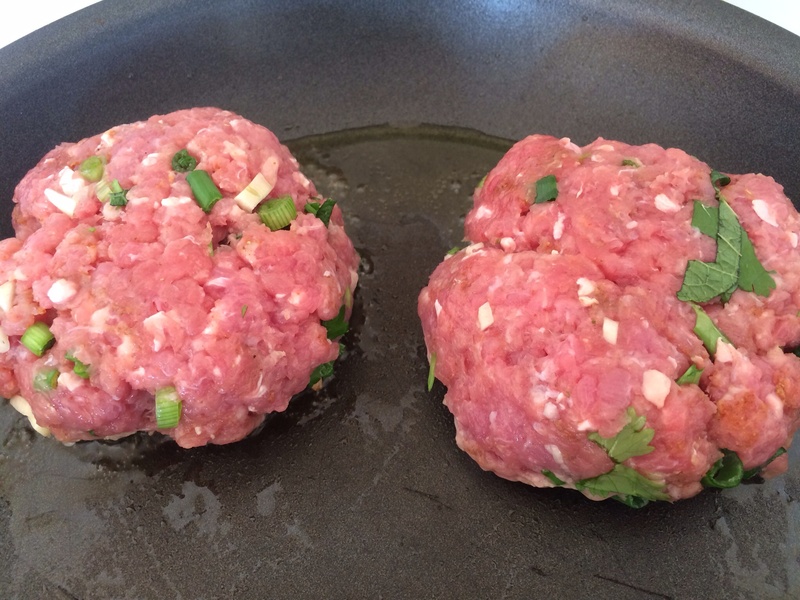 Form into 2 or 3 patties. Gently fry in a frying pan to brown and then place in the hot oven for 15 minutes to cook through. 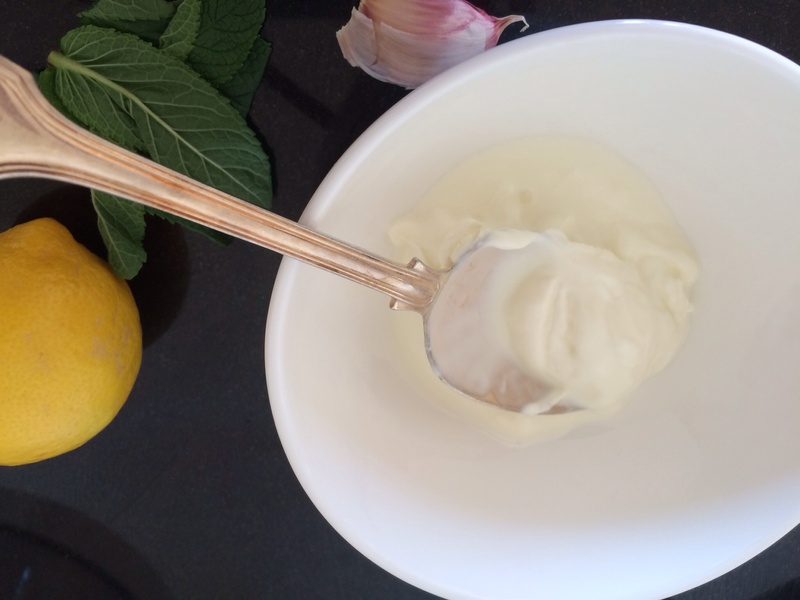 Make up the up the yoghurt dressing by mixing with the chopped up garlic clove, a good squeeze of lemon juice, salt and pepper and a few more snipped up coriander and mint leaves. Slice the rolls and put a lettuce leaf on the bottom piece. 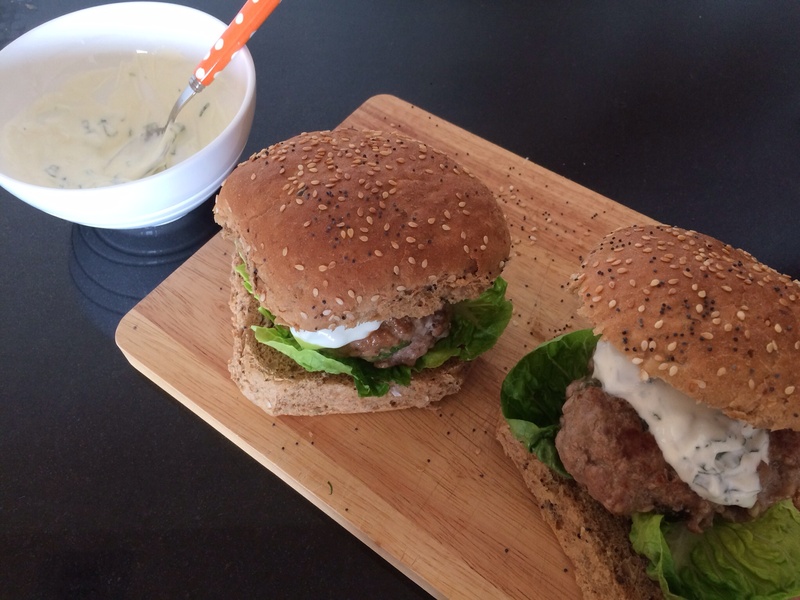 Pop a burger on top, add a dollop of dressing, another lettuce leaf and the bread roll top. Delicious!